1. Keep your hair stretched. When you keep your hair stretched, your strands are less likely to wrap around themselves to create tangles. Styles like twists, braids, puffs, curl-sets, and buns allow you to keep your hair stretched. Some naturals also use heat styling, but it can be risky. I would suggest doing your homework before using heat on your hair. This way you can avoid damage. If you would like to stretch your hair without heat, another option would be to band it. 2. Keep your hair moisturized. It is very important to keep your natural hair moisturized in general. If you have fine strands, it is even more important. In my experience, when my strands are moisturized it is easier to detangle my hair. If you are removing twists or bands, apply a moisturizer, conditioner, or oil to give your hair a bit of slip. 3. Remove shed hair (especially before washing). Removing shed hair and detangling your fine natural hair before washing is one of the lessons I learned the hard way. On average, each person loses 100 strands of hair a day. Let's say you keep a protective style in your hair for a few days or more. This means that all of the shed hair is together with your strands, increasing the risk of tangles and SSKs. Before you wash your hair, apply an oil, moisturizer, or conditioner and finger detangle your hair. Be sure to gently pull out the shed hair. If a wide tooth comb works best for you, use it instead. Be sure to start combing from the tips and gently work your way to your roots. If you wait until you wash your hair to remove the shed hair, you may have issues with the shed hair becoming tangled around your strands and causing breakage. As a result, it is best to remove the shed hair before the wash process. 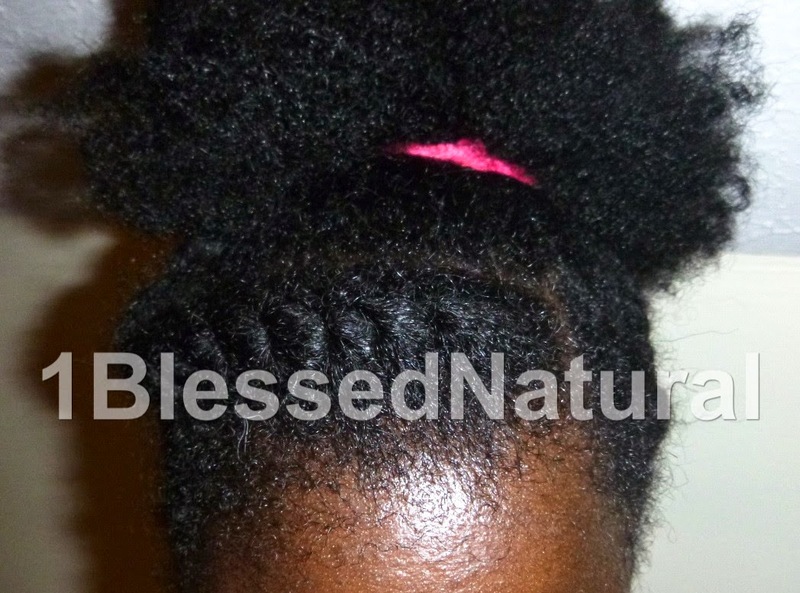 1BlessedNatural: ...my hair after removing mini twists. 4. Be careful when installing and removing braids and twists: When you install twists, stay with the same sections you started with. Try not borrow hair from other sections because it can cause tangles when you're attempting to remove the twists. Take your time when removing braids and twists. Do you have problems with natural hair tangles and single strand knots?